Electrical: There are plenty of electricians in Schuyler County, but few have 15 years of experience and offer the wide breadth of electrical services we do. We can handle both commercial and residential electrical work, and can provide both installations and repairs. If it lights up, heats or cools or involves wires, we can probably take care of it for you. Plumbing: When your home’s or business’ plumbing isn’t working, it can be a major obstacle to performing even the simplest tasks. When this happens to you, you should already have someone you know you can rely on for immediate, dependable and efficient service. JAC Contracting has been that someone for hundreds of businesses and households in the area for more than 10 years, and we’ll be happy to add you to our list of happy plumbing customers. 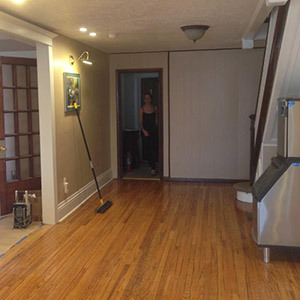 Remodeling: Here at JAC Contracting, we don’t believe in limiting your vision—we believe in expanding it. 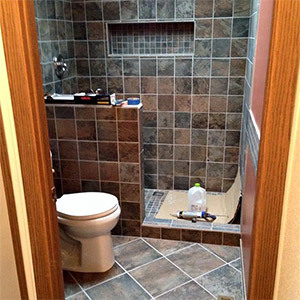 When you come to us for a bathroom, kitchen, deck or any other type of remodeling job, we’ll listen to you closely and then work with you to provide the best remodel possible. And because we’re experts in both plumbing and electrical work, we’re the only contractors you’ll need to hire. Emergency services: JAC Contracting is proud to provide 24-hour emergency plumbing and electrical work, including standby generator installation. If you’re in a tight spot, give us a call anytime at 607?742?7361.